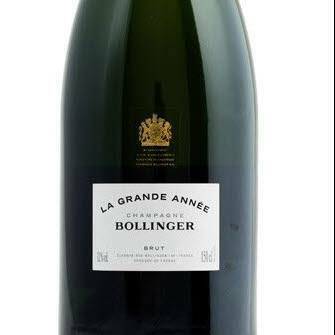 The Bollinger Grande Annee is a blended wine from crus and grape varieties and it carries the expression of the House style however, the style is also dependant on the characteristics of the given vintage. It is the best wine Bollinger can produce in an individual year by exposing its particular character. If this is a special gift you can pick the delivery date after you checkout. 66% Pinot Noir, 34% Chardonnay. 16 crus: 88% Grands crus, 12% Premiers crus. Vinification exclusively in barrels. At Bollinger, only very high quality harvests become vintage. 2004 was quite a delicate year in Champagne, with a relatively dry winter and spring but a cold, wet end to the summer. The grapes were picked during a fine Indian summer which meant they were in an excellent state of health. All the conditions were favourable to give their grapes the special qualities necessary for the very best vintages aire. Moderate, 7 to 8 grams per liter. its delicate blush and old gold colours are a sign of maturity and of Bollinger’s winemaking skills. its aromas are a testimony to the barrels it aged in: toasted bread and brandied fruit ; notes of exotic spices, rhubarb and stone fruit. powerful yet soft bubbles ; remarkable structure and length. La Grande Année 2004 is a must-have for gourmet restaurants and good hotels alike: it is the perfect champagne to serve with a fine meal. To fully appreciate its unique style, bouquet and aromas, La Grande Année 2004 is best served between 10 and 12°C. You can enjoy La Grande Année 2004 right away, or choose to age it in your cellar.